The middle of June—more specifically, June 17—marks Father’s Day, which means it’s time to gift dad the thoughtful gift he deserves. Dad’s may be notoriously challenging to shop for, but hath no fear. Our Museum Shop has got you covered. 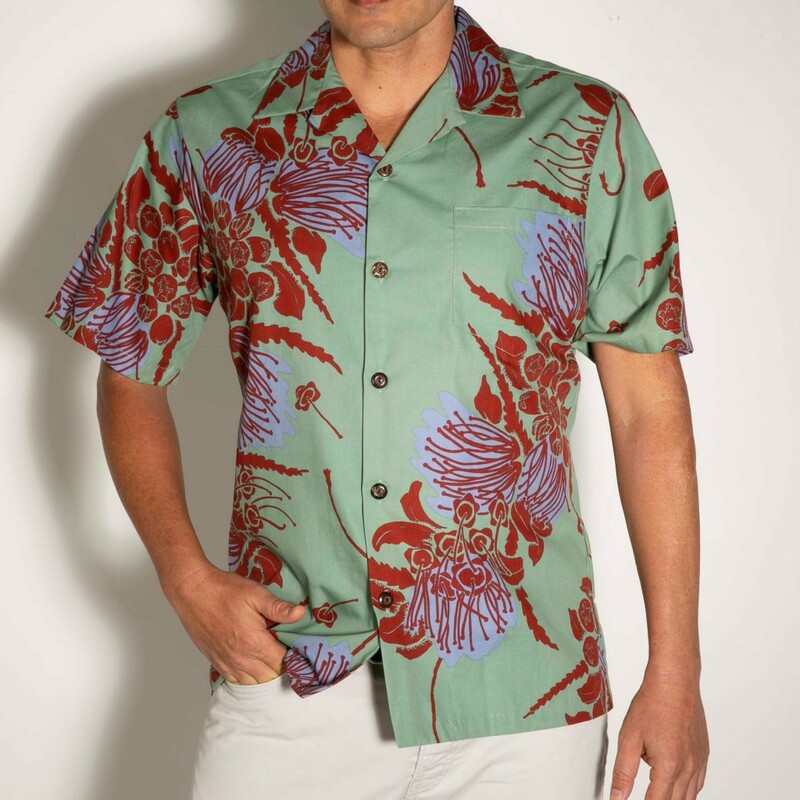 Help dad make a stylish statement with this 100 percent cotton aloha shirt by Tutuvi. It comes in a muted sage green color with bold botanical detailing. Tutuvi shirts feel as good as they look. The aloha shirt also comes in a brilliant lime green, perfect for the summertime (and provides a much-needed pop of color during the dreary winter). Prince Akishino of Japan would probably agree with that sentiment—he was spotted wearing this very aloha shirt during his visit to the museum on 7/5. 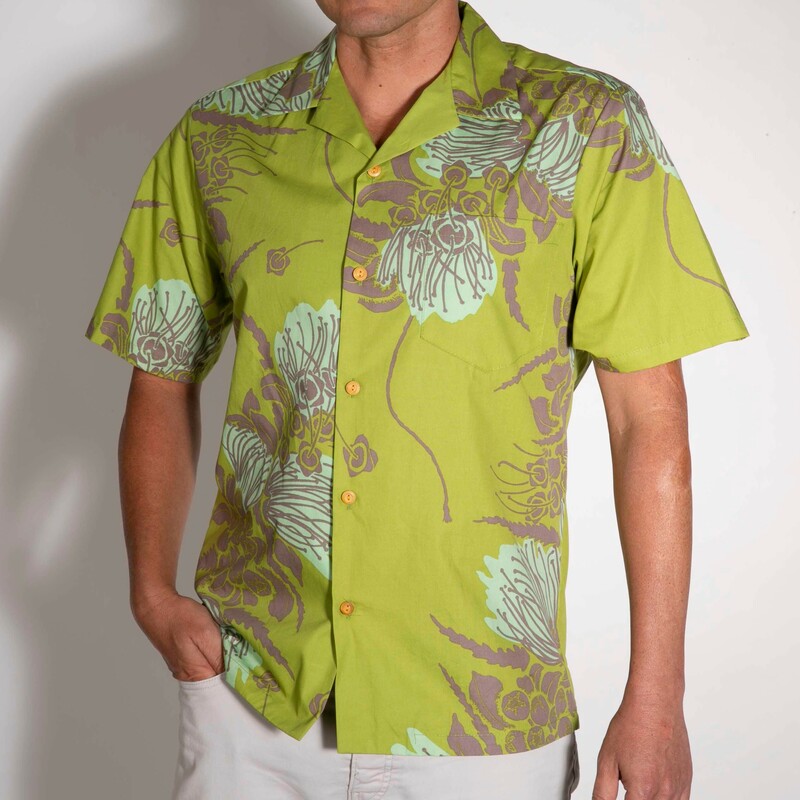 Dads who want to stand out in a crowd will rock this lime green aloha shirt. The Tutuvi shirts retail for $62 each, and come in sizes S-2XL. 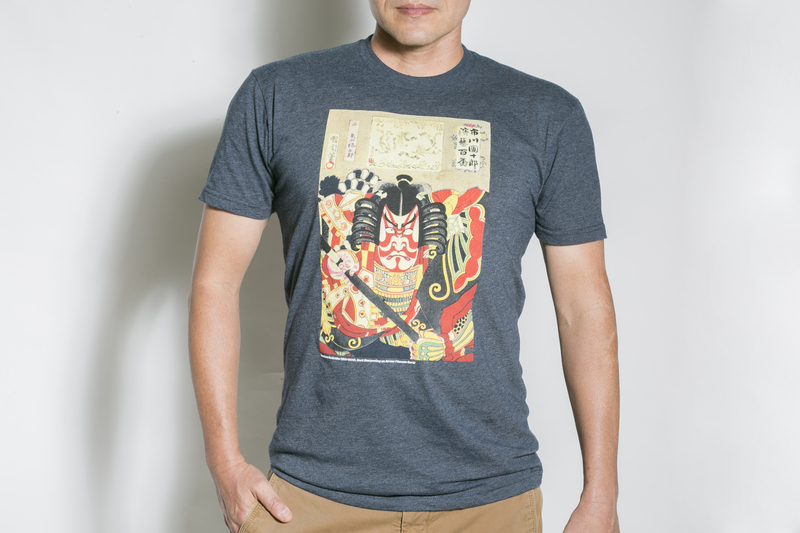 For more casual weekend wear, dad might appreciate this fierce Kabuki t-shirt, which features the image “Goro Sharpening an Arrow” by Meiji Japanese woodblock print artist Toyohara Kunichika. This museum exclusive is sure to add a little bit of attitude to his outfit. This shirt retails for a cool $29.95 and comes in sizes S-XXL. 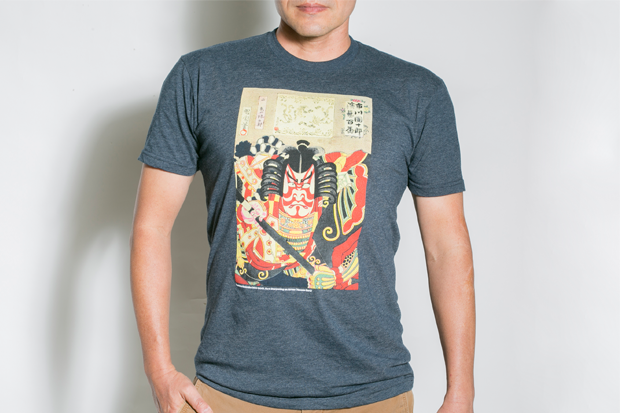 This Kabuki t-shirt is a museum exclusive. Spice up dad’s morning routine buy gifting him one of our modern minimalist HoMA mugs for his first coffee of the day. The mug comes in a variety of colors—there’s also gray for the neutral-leaning father—and costs $14.95. 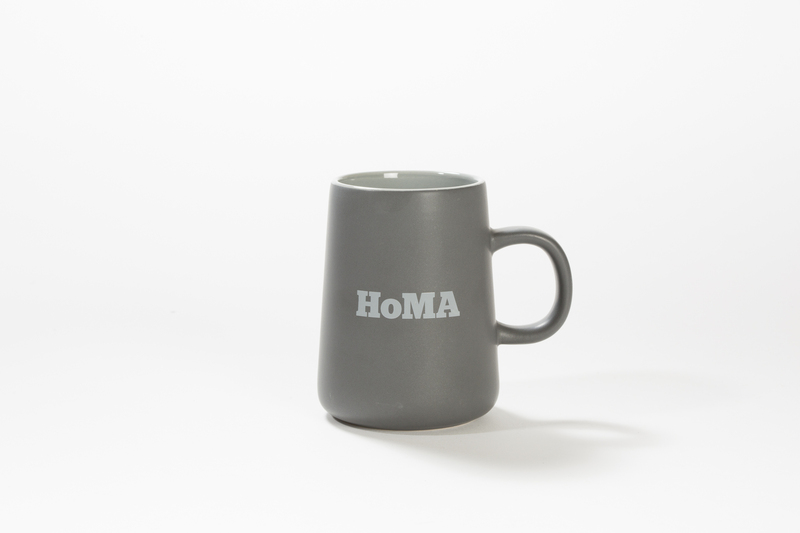 Dad will love sipping coffee (or tea) from this HoMA mug. Since he can’t be toting around an empty coffee mug, don’t forget to purchase a bag (or two!) of our custom-blended Maui or Costa Rican coffee, which can be found at both the Honolulu Museum of Art and Spalding House. The coffee blends are roasted exclusively for HoMA by Kona Coffee Purveyors. The Maui Coffee was chosen by HoMA interim food and beverage manager Josh Hancock for its subtle sweetness and toasted-nut characteristics; it pairs perfectly with the Costa Rican’s silky body and bittersweet chocolate notes. A six-ounce bag costs $14.99. 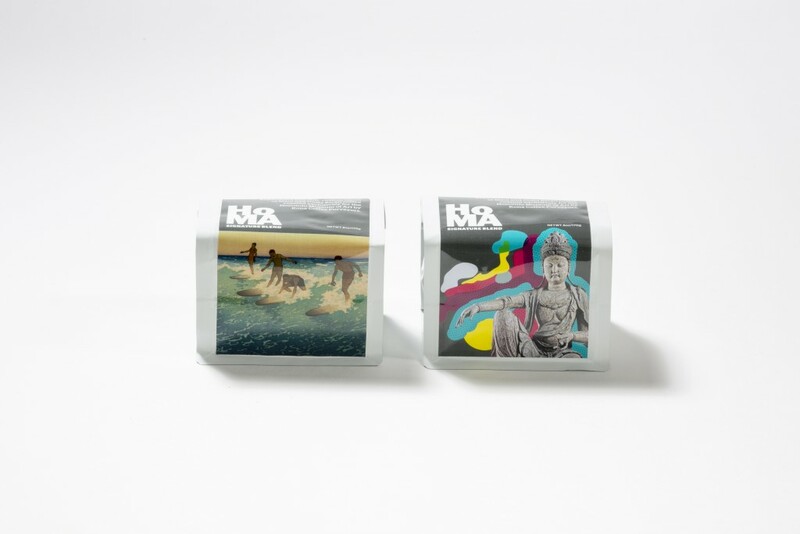 Our senior graphic designer Anjali Lee designed the lively packaging for these coffee bags.